AUGUSTA CANAL INTERPRETIVE CENTER: Explore the nation's only industrial power canal still in use for its original purpose. Built in 1845 to harness the water and power of the Savannah River, the Augusta Canal offers history, recreation and unique experiences along its 8.5 miles of towpath and waterway. Enjoy the Augusta Canal on foot, by bicycle, canoe or kayak. Fish from the banks, watch for wildlife or relax on a guided tour aboard a replica canal cargo boat. Encounter the people who built the canal and learn about the progress, problems and promise of its century-and-a-half history at the Augusta Canal Interpretive Center at Enterprise Mill. 1450 Greene St., Enterprise Mill, suite 400; regular prices for boat tours; boat tour hours through March 31: center open 9:30 a.m. to 5:30 p.m. Tuesdays-Saturdays, with one-hour boat tours at 11:30 a.m. and 1:30 and 3 p.m., weather permitting. (706) 823-0440. 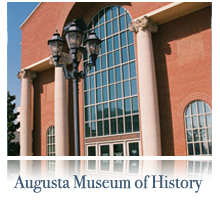 Founded In 1937, the Augusta Museum of History is Augusta’s oldest historical agency devoted to the preservation and presentation of local and regional history. The not-for-profit agency functions as the steward of the community’s rich, diverse and invaluable material past. The museum curates the largest and most significant historical collection in the CSRA and functions as a historical research and resource center for professional and amateur historians, media, organizations and individuals, and is home to permanent exhibition Augusta’s Story, a 12,000 year journey through the region’s past. The exhibition has received several awards including the prestigious Certificate of Commendation from the American Association for State and Local History, the Georgia Historical Society Local Achievement Award, and the Georgia Association of Museums and Galleries Permanent Exhibition of the Year, 1998. The museum also hosts a permanent exhibition on the history of healthcare in Augusta, The Art of Healing, a permanent exhibition chronicling the railroad and banking operations of the most important company of Augusta and Georgia, Into the Interior: A History of the Georgia Railroad & Banking Company, an interactive "just for kids" Susan L. Still Children's Discovery Gallery, and a Transportation Corridor showcasing a 1920's trolley car, a 1914 locomotive and a reconstructed 1930's gas station. 560 Reynolds St.(706) 722-8454. 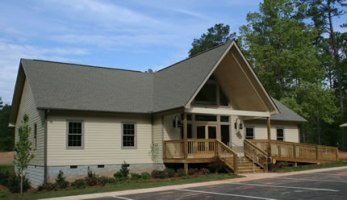 GROVETOWN MUSEUM: 106 W. Robinson Ave.; information, artifacts and photographs of Grovetown, Columbia County and Georgia; 1-4 p.m. (706) 863-4576. THE EZEKIEL HARRIS HOUSE: Circa 1797, is a reminder of the days when tobacco was the primary cash crop in Georgia. Following the Revolutionary War, the area which now includes Wilkes, Elbert, Franklin, Lincoln, Warren, Oglethorpe and Greene counties was opened for settlement. Liberal land grants and rich soil attracted tobacco planters who had depleted their farmlands in Virginia and North Carolina by planting tobacco year after year. Towns sprang up around the tobacco inspection stations and warehouses. Tobacco merchant vied with tobacco merchant and town competed with town for the market. Competition was very fierce between Augusta and Harrisburg. Ezekiel Harris came to this area from Edgefield, South Carolina to build a town which he hoped would rival Augusta. In September, 1797, he announced in the Augusta Chronicle and Gazette of the State that his warehouse was "in order to receive tobacco" and he also offered accommodations for the planters in "a good frame house with a brck chimney [which] will be ready by the first of January 1798." The house, situated on a hill overlooking Augusta, is outstanding. The gambrel roof gives the house a feeling of New England and the vaulted hallway is unique in this area. Tiered piazzas are supported by chamfered wooden posts. The rear piazza is inset between small rooms which flank and open onto it. The 9-over-9 windows are framed by dark red shutters. The front doorway is almost directly from Plates 22 and 24 of Palladio Londinensis, Salmon's academic builder's handbook printed in London in 1734. The exterior rear staircase is the only access to the 2nd and 3rd floors. The exterior is painted the original gray color. LOCATION: 1840 Broad St, Augusta 30904. Phone 706-724-0436, fax 706-724-3083. HOURS: Tuesday through Friday 1 PM to 4 PM, Saturday 10 AM to 1 PM. ADMISSION: $2 adults, $1 seniors, $0.50 students. DIRECTIONS: From I-20, take Washington Rd east, which becomes Calhoun Expressway. Take Crawford Ave/Eve St exit. Turn left onto Crawford Ave. Turn left onto Welsh La. Park behind the house, located on the right. 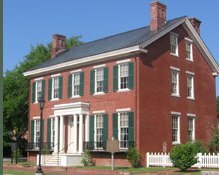 EZEKIEL HARRIS HOUSE: 1840 Broad Street; 1797 house, regular hours 10 a.m. to 4:30 p.m. Tuesdays-Saturdays; (706) 737-2820. LAUREL AND HARDY MUSEUM: 240 N. Louisville St., Harlem; exhibits pay tribute to Harlem native Oliver Hardy; Oliver Norville Hardy was born in Harlem, Georgia, a small Columbia County town. His legacy and that of his comedic partner, Stan Laurel, is celebrated every day at the Laurel & Hardy Museum of Harlem, Georgia. The Museum accepts donations for admission. The city of Harlem celebrates Oliver Hardy annually with the Oliver Hardy Festival. Started in 1989, the Oliver Hardy Festival takes place on the first Saturday of October, and features craft booths, food vendors, a parade, a look-a-like contest, and more. Parking and admission are free to the public, and the festival draws both national and international visitors. 10 a.m. to 4 p.m. Tuesdays-Saturdays; (706)556-0401 or toll free 888-288-9108. LUCY CRAFT LANEY MUSEUM OF BLACK HISTORY: The mission of the Lucy Craft Laney Museum of Black History, located in Augusta, Georgia is to promote the legacy of Ms. Lucy Craft Laney through art and history. 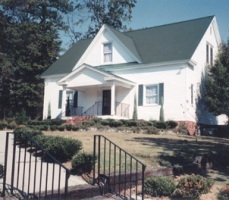 In 1987, Delta House, Inc., a non-profit corporation, initiated restoration of the former home of Ms. Lucy Craft Laney, a great Georgia educator. 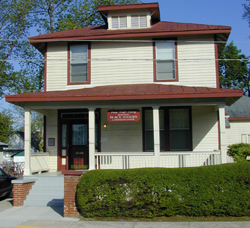 The home, located in the Historic Laney-Walker District of Augusta, GA, was re-opened in 1991 as the only African-American Museum in the Central Savannah River Area. The facility includes a conference center, computer center and period garden. Human service programs include art and history exhibits, lectures and tours, the computer art and history program, Youth Leadership Academy and senior citizen programs. The Lucy Craft Laney home in its current state is a symbol of Ms. Laney's contribution to mankind. In its restoration as a Black History Museum it is alive with activities that represent what she lived and worked for in the Augusta community1116 Phillips St. 9 a.m. to 5 p.m. Tuesdays-Fridays, 10 a.m. to 4 p.m. Saturdays, 2-5 p.m. Sundays; (706) 724-3576. MEADOW GARDEN HISTORIC SITE: Meadow Garden on Independence Drive, Augusta, Georgia, was the home of George Walton, one of the three signers of the Declaration of Independence from Georgia. George Walton, was Georgia's youngest signer of the Declaration of Independence. In 1776, he was a member of the Council of Safety in Georgia and was a delegate to the Continental Congress. Walton served as Acting Commander of the State Militia and was a prisoner of war during 1778-1779. After the Revolutionary War, Walton served his state as Governor and Chief Justice. He was a member of the United States Senate, 1795-1796. George Walton died on February 2, 1804 in Augusta and is buried at the Signers Monument on Greene Street. MORRIS MUSEUM OF ART: The Morris Museum of Art, located on the Riverwalk in downtown Augusta, Georgia, is the first museum dedicated to the art and artists of the American South. The collection includes nearly 3,000 paintings, works on paper, photographs, and sculptures dating from the late-eighteenth century to the present. 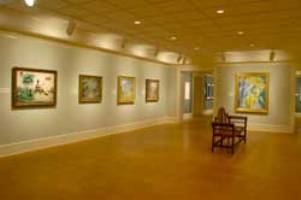 In addition to the permanent collection galleries, the museum hosts eight to ten temporary special exhibitions every year. 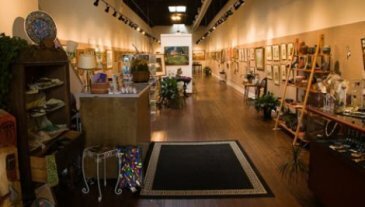 Gallery On The Row: Located in a spacious historic building on Artists’ Row, this gallery of fine art features a diverse group of local and regional artists working in oil, acrylic, watercolor, clay, and photography. We also feature iron sculpture by Thomas Lyle, and wood sculpture by Kevin Brown. Other art forms and artists represented include jewelry by Tammy Ray, baskets by Tamara Przylepa, ceramics by Frank Lustig, leaded glass by Mark McKim, glass mosaic by Barbara Yon, and much more. We look forward to working with you and providing the best in original art. Classes are offered in drawing and oil painting. Commissions are accepted by some of the artists. For further information, please call Gallery on the Row, 706 724 4989. Come in and explore! PHINIZY SWAMP NATURE PARK: Located on 1100 acres and just minutes from downtown Augusta, Phinizy Swamp Nature Park offers visitors the chance to see blue heron, red-shouldered hawk, otter, alligator and the elusive bobcat in their natural settings. Hear the trills of kingfisher and the chorus of a thousand tree frogs, or delight in the myriad of summer dragonflies... only at Phinizy Swamp Off Lock and Dam Road, near Augusta Regional Airport; weekdays none to dusk, Saturdays-Sundays and holidays dawn to dusk; (706) 828-2109. REDCLIFFE PLANTATION STATE HISTORIC SITE: 181 Redcliffe Road, Beech Island; Redcliffe Plantation was the home of Governor James H. Hammond. Now, the house and grounds are open to the public as a state historic site. 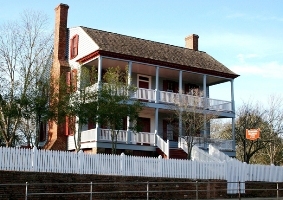 Tours of the house are given at 1:00p, 2:00p, and 3:00p. There is also a nature trail and a fishing pond. rounds open 9 a.m. to 6 p.m. ; (803) 827-1473. SACRED HEART CULTURAL CENTER: Sacred Heart Catholic Church, built by Jesuit priests, held its first service December 2, 1900; after seventy years of operation the last service was held July 4, 1971. The facility was closed. The magnificent barrel-vaulted ceiling, the ninety-two stained glass windows in the building and the intricate brickwork make up this architectural gem. After enduring years of vacancy, vandalism, and near destruction, this treasured historic site was reopened in 1987 as a prized landmark and a vibrant facility for community use as a cultural center. The old Rectory building, the former Convent building, and the Sacred Heart School building (original church building, built in 1864 house the offices of local arts groups and other non-profit organizations. Many special events including exceptional choral concerts, Christmas events, a unique garden festival, tours, and much more are held at Sacred Heart. Works of local artists are exhibited in the Art Gallery and unique souvenirs including a collection of regional books are available for purchase in the Gift Shop. Guided as well as self-guided tours are available; call for information. 1301 Greene St.; tours of 103-year-old former church noted for architecture; 9 a.m. to 5 p.m. Mondays-Fridays; (706) 826-4700. 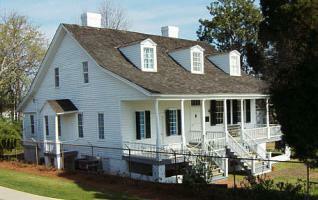 BOYHOOD HOME OF PRESIDENT WOODROW WILSON: 419 Seventh St.; 10 a.m. to 5 p.m. Tuesdays-Saturdays; (706) 722-9828. BARTRAM TRAIL: Contact the Savannah Rapids Visitors Information Center for map of the trail through our area. William Bartram was America's first native born naturalist/artist and the first author in the modern genre of writers who portrayed nature through personal experience as well as scientific observation. Bartram's momentous southern journey took him from the foothills of the Appalachian mountains to Florida, through the southeastern interior all the way to the Mississippi River. His work thus provides descriptions of the natural, relatively pristine eighteenth-centrury enviornment of eight modern states; North and South Carolina, Georgia, Florida, Alabama, Mississippi, Louisiana and Tennessee. William Bartram published an account of his adventure in 1791. It quickly became an American classic and Bartram's Travels has been described by one scholar as "the most astounding verbal artifact of the early republic." CANTERBURY TRAILS EQUESTRIAN CENTER: 5581 Wrightsboro Rd. 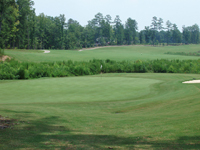 Located off Wrightsboro Road in Grovetown, Georgia, Canterbury Trails Equestrian Center offers 136 beautifully shaded acres for your riding pleasure. For a tour of the facility, to book a party, schedule a trail ride or check into the lesson program and experience the joy of riding, please call (706) 556-1287. 65 Stalls with Daily Turnout * 200' x 250' Lighted Outdoor Arena * Paddocks * 150' x 80' Indoor Arena * Beautiful Gazebo * 2 Round Pens * Exotic Animal Zoo * Covered Birthday Party Areas * Variety of Carriages. Mon - Sat 9:00 a.m. to 6 p.m. * Sundays and late hours by appointment. 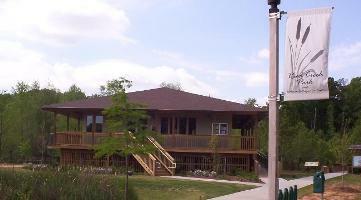 REED CREEK WETLANDS INTERPRETIVE CENTER: 3820 Park Lane, Martinez. The new Center is a dual use facility available for rent as well as an educational center. When you visit the facility, you will see displays pertaining to many different topics that relate to the wetlands, such as reptiles, amphibians, wetland plant material, native wetland grasses, wetland waterfowl, etc. Displays are rotated so you will learn something new each time you visit. 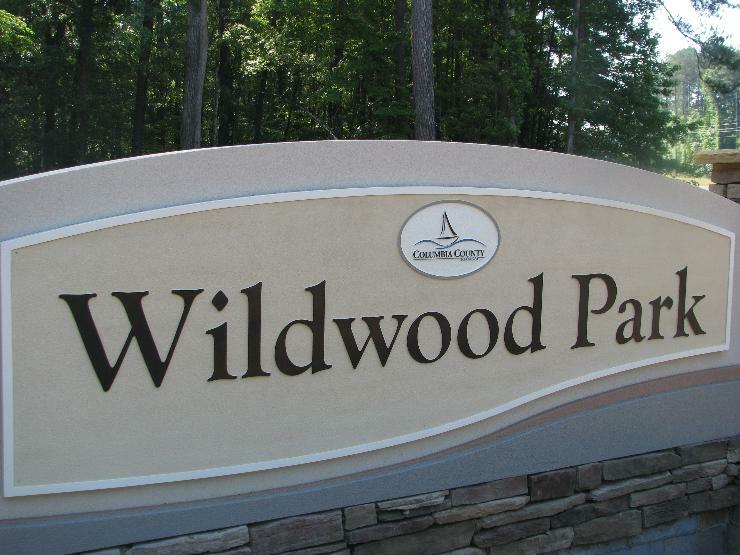 WILDWOOD PARK: 6212 Holloway Road, Appling, Three championship disc golf courses, horse riding trails, picnic area w/2 covered pavillions, fishing, boat ramps, RV campsites (Good Sam certified), International Disc Golf Center and Disc Golf Hall of Fame, Swimming Beach. (706) 541-0586.